As far as kids lunch box ideas go, this has to be one of the coolest ones out there. 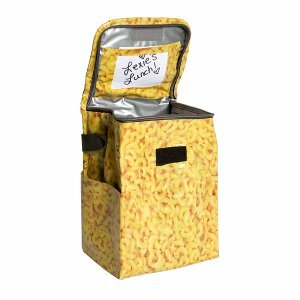 The Funky Duct Tape Lunch Box is the perfect way to personalize their lunch pail. Your kids can turn their old lunch box into a fun new one with just a little duct tape. 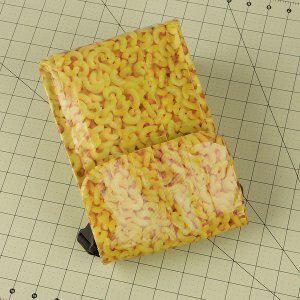 Have them choose a fun pattern, like this Macaroni and Cheese print, and they're ready to go. This is a fun kids craft they'll talk to all their friends about. Cover your lunch bag in Duck Tape®. 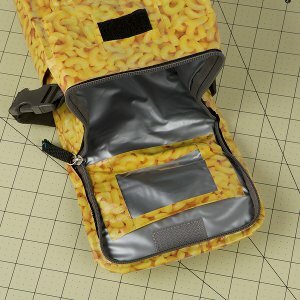 For the pockets, make 2 pieces of Duck Tape® fabric that is as wide as your lunch bag and about 5 in. long. 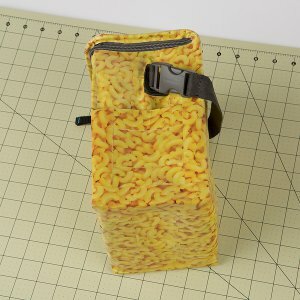 Using small pieces of tape, attach the pockets to each side of your lunch bag. 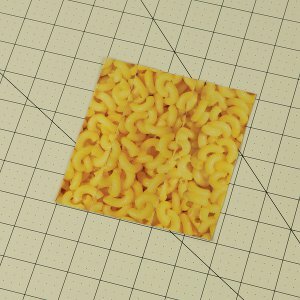 For the name tag, cut a piece out of your sandwich bag that is 4.25 in. wide and 3.25 in. long. 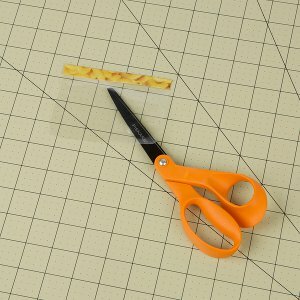 Cut a piece of Duck Tape® that is 4.5 long and .5 in. wide. 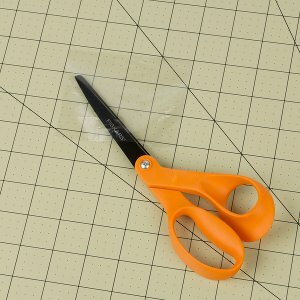 Fold this piece over the top of the plastic rectangle from step 4. Attach the name tag to the inside of your lunch bag with small strips of tape on the sides and bottom.